We are seeking a Program Coordinator to help with the everyday functioning of a growing nonprofit. This position is a 6-month temp to perm, at an hourly pay, based in our Vienna, Virginia office. The position will start out at 20 hours/week with flexibility during standard work hours. -Experience in MS Office, Google Drive, and working with social media. -Must be a self-starter and be able to work independently. -Strong collaborative and negotiating skills are required. -Must be extremely organized and detail oriented. -Requirements may include lifting boxes over 10 pounds. -Prior administrative and/or non-profit experience is preferred. 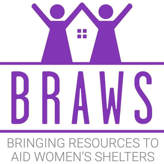 -A passion for helping women and girls in low-income and homeless situations is highly desired!